On Thursday on MSNBC and in social media, photos and videos of a humble and a decent American teenager`s dad surface. The videos and photos posted on social media not only showed him as one of the party goers, but also as a bystander, an enabler watching as the kids waste away (really). Today we are celebrating that a parent is in trouble for drinking with his child. As a parent, nobody wants to be in that situation. There should be no parents at a party with teenagers, if it is avoidable. Gansler, 50, a MD attorney general was accused of partying with his teenage boy and his friends. According to the report, the party took place at a six bedroom rental home in South Bethany, Del where Gansler`s son was staying with close to a dozen other graduates of the Landon School in Bethesda “beach week.” As the picture surfaces, everyone from bystander to onlookers became interested in the news . Why because this is what we as a society clamors on so well. They are always looking for a slight mistake to bring anyone down. We love to build them up and watch them disappear. If not, what is the special interest? Now let’s face it, “Are we turning ourselves into what is good for the goose?” (Mickey and the Goose if you ask me). Here are the real Americans’ “biggest problems.” You can now cry if you really care for this country. Ganslers are not the problem. The teenagers are committing suicide; we do not jump. Teens are going through cyber bullying; no one is talking; kids are texting and not writing, no problem. Teens are dropping out of school, no problem. CPS is in our homes telling us how to raise our kids, Teens are on drugs, and they are also living in our various homes planning attacks on their fellow kids and the general public: the list goes on .But if you are not worried about anything else happening to us, you should be worried about our disintegrated communities. Which way should it be for our children if you really care to know? It is now time for people who really know this man to come to his defense. I know as a parent no one will come to his defense. We live in a culture that people will tell you in your backyard that you are doing a good job with your children, but when it is time for them to come and help you tell others, no one will come to your rescue. Sadly too, we live in a culture where CPS has the power to take care of our homes. They tell you, the parent, when they will come and remove your children if you refused to give those children whatever they wanted anyway they want it. As a parent you cannot discipline your own children without CPS in your business. They send you letters whenever they want. Now parents are afraid to say anything to their children. When the news broke out on MSNBC that he was partying with his son with the picture all over the place, I probably could have condemned him. If I had no clue how hard it is to get anything done in this country especially for a parent parenting a teenager. For most of you who either have children or do not have any, it is easy to see things from a distance. Or to see him as a no good parent because he was partying with his son. He is a cool dad and that is what the people want. Parenting children is hard. We also live in a country where whatever any parent says will not matter. He has a right to defend himself; as an attorney general, he knows better. He also knows that “It is not his part to stop other children from partying as he defended himself about stopping teen bash.” But do not forget that a typical child is growing with much bigger wings than most parents can imagine. What is happening now is what you see. Parenting is at its moral and all-time low, not because all or most parents want it that way, but because the authority has been shifted. We are in a new special world where things like parenting, especially teenagers, are hard. According to Garner, he said that he faced tension facing any parent of a teenager, “How much do you let them go? How much do you reign them in? I`m really no different from any other parents,” he said. Neither he nor his son was drinking, which I believe him. 1 What we should be worrying about is the loss of our communities where children do not get to fear their neighbors anymore or even to confide in them. 2We should be worried that they are growing too fast with no strong sense of what is expected of them. 3Teachers are burnt out and have lost the interest of mothering your children instead of teaching them. 4 These teenagers want to eat their cakes and have it. They understand their rights. 5 Childhood should be a journey and not a race. They are almost at the finish lines. Thank You, Mr, Gansler. Because those criticizing you do not know what it means to be a responsible adult raising a teenager or even children in a situation were we are facing now more than ever a broken, race based, disintegrated, dysfunctional , CPS, red, blue, yellow, white, black, poor, rich country. And a country that even internally, foreign countries like China, Malaysia, Russia; others are also dictating our lives. You cannot eat your cake and have it. Please let me know your own experience about parenting now. As part of what I planned to do, I will be highlighting different stages of school age.My interview will be focusing on play, behavior, and different ways of communications to better understand boys more. Why is it so important. Because more girls are born now. This interview can also inspire you to get your campaign for preschoolers. For develop-mentalists, as well as parents, one of the delights of observing children in their preschool years is seeing how they construct and express their growing understanding of the world around them. Often this understanding seems to be grounded in the kind of fanciful imagination reflected in their own little world..Kathleen Stanssen Berger. Mrs. Alexis Burke is a preschool teacher At Lit-ch field Elementary School in Phoenix, Arizona. She has taught preschool for three years going into her 4th year. To her, nothing gives her joy as the smile on their faces, how preschoolers see things and how some of them can look at you in the face and tell you how they are feeling. On why they are more likely to withdraw. Mrs. Burke: “Girls are kind spirited, very kind in nature, and they are generally calmer. They can be drama queens for the most part.” But they are very aware of their surroundings. Mrs. Burke: “Well girls put up a dramatic play, art, and writing activities. While boys build things to play with their hands, girls play with anything available. Girls love to play mothers in the playground. They are very protective of each other. When somebody does something wrong, girls are more quick to report the incident. Girls like to spill out something that the boys will find difficult to say. Girls are more aware of their surroundings.” They pick on a role early. Mrs. Burke: “How loving the boys can be. They are quick to give genuine compliments without judgment. They make silly choices.” She was surprised how loving they can be, but they do not show it unless they are angry. For me, the magic of the boys’ exploration goes beyond preschool. They love to create things with their hands. I am sure they are born that way. I was also wondering maybe because they can create their own games; would that be the reasons why it is often hard to get some of them to do their homework as I have heard from some parents. In My next interview, I will focus on a different age. I will also look into play, communication to get into how can better help them more. Why is it necessary to understand children at any age?Because the more we do, the better we will help them more. The better we learn to guide them early from getting into trouble. What have great poets said about them? Children ironically remind us how we used to be. Martin Buber, “I am not sure and I will never know.” The loves of childhood and of adolescence cannot be subtracted from us. They have become part of us. Not a discrete part that could be severed. It is as if they had entered our blood stream. This is an argument that came to life when a religious professor makes a great point of treating students as persons. Rudolf Dreikurs also believes it was most effective for parents and teachers to use kindness and firmness with children. An understanding of a temperament also is very important too. If you know your child’s behavior, you as the parent will give him or her additional help she needs earlier on. Understanding kindness and firmness with children is very important as they continue to grow. How can we better understand children will be my ideal job? Help me get to this issue? Did anything here resonates with you? In what ways do you think that girls are different and how?. My interview with My Ten year Old daughter. On our recent road travel, something very dramatic happened that really renewed my interest about books and the effects it has in our lives generally and especially on children.Reading a book has been easier now due to its availability on eBooks that sometimes does not really showcase its cover just like we have them on bookshelves. I often blog thinking people will read my work regardless of the title. I have for the most part written some well crafted articles, but due to poor choice of headings, few people probably looked at it. One example was “You Are Not A Marketer; Shut Up And Write.” I was shocked to see that I can count many blogs that I wrote that nobody looked at it due to its poor headings. I never worry about books and cover before. But now that I am putting a book together, I cannot help but worry about it. But for most children it will be so hard to get them on board like reading eBooks and other print media like the adults are becoming used to. I know that most schools are working very hard in making electronic reading fun for the children. Children love the color of a book; no doubt about that. They also love the feel and the excitement of putting a bookmark wherever they stop reading a chapter. They also love the idea that they do not have to worry about opening a computer to finish an end to a book or pause for a book’s suspense. But also as someone who had read books in class for children for years, one thing I also noticed is that the children do not choose most of the books read in the classrooms because the teachers do. But the kids get so excited about grammar and the good choices of words as we read along. Also compared to another experience I had at a book fair, most girls in comparison to boys choose more with color books like Fairies, Pinkalicious and other colorful books like The Tail of Emily Windsnap. More boys go with Lego and Pokemon. As a volunteer in school book Fair for three years now too.I also noticed how popular contents went so fast, and the ones with color were the most purchased books. I would have make my observation to be anything but. How could I have known? Because my 10 year old has this massive interest in reading books. I saw her reading a book 13 Gifts by Wendy Mass. The 13 Gifts looks so colorful, bright and well decorated. It is also appealing to look at but also very lengthy. The 13 Gifts has 340 pages. I will love to read that book, but I do not have time, but It sparked this argument that I have known a long time. What makes a book worth opening and listening to? Amy has read more than 2000 books, such as Renegade Magic. 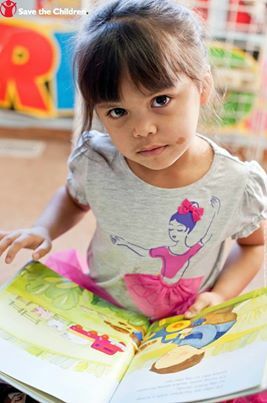 Amara is a student at Palm Valley Elementary School where reading takes center stage. She is a gifted student who spent all her mornings reading and writing. For me to get more information on her, I had to interview her about books. This is excerpt from my ten year old daughter about books. Q: 1. What sparks your interest about a book? A: The book’s cover, The title of a book. The mysteries, the adventures, the secrets unfolding, the creativity, and the problem solver. Q: 2. What do you like best about books? A: How it is almost like your life? I like the moral lessons. how it entwined with life situations, how most books always end happily, how it always gets interesting, confusing, and very dramatic and real. Q: 3. What types of books do you like reading? A: Nonfiction, adventure books, like The Titan’s Curse and dramatic books. and really funny books. Q: 4. Why do you think that most children do not like reading lengthy books? A: They think a book is boring, very long; they will rather watch movies on TV and playing outside or the computers or video games, or iPad or mostly electronics. Q: 5. Why do you think it is so? A: It is because many kids don’t like reading. They would rather do something else. Q: 6. How can parents make reading fun for their kids? A: They can use different types of voices to make books sound silly, and that can make people read. Parents can provide incentives for every book their children finished. As a parent, you have to ask your child a question about the summary of the book to know if she or he actually read it. Q: 7. How did you get hooked up with books? A: Well I saw a title of a book when I was five years old, and a picture, and I liked it, and it was good. Q: 8. What is your message to parents? A: Pay them to read. Get rid of their chores for every hour they read. Or late curfew. Encourage your children to take five to ten minutes break after reading for a long time. Make reading fun. Q: 9. What are the advantages of reading a book? For her a book cover ranks number 1 on her list. But as her mother,I am very sure the content works for her and her friends too . But was surprise that the title did come close. For me I never judge a book by its cover. But I get excited about a books title . But to help me further now; I have decided to interview a college professor too. Someone who has read so many books to see her take on judging a book by content or cover. How do you judge a book? I will like to know as this will guide me in preparing for the book that I am putting together. What do you think? Are Mothers Getting Enough Help They Need About Preschool? Education. Did you know 90% of brain growth happens in the first five years of life? There’s no better time to invest in a child’s future than before they reach kindergarten. Today my fourth, the last, daughter began kindergarten. The preschool years are the complete reasons why a lot of women fall short or even become poor. As a learner myself, the question that anybody will ask mothers like me is this. Why do mothers spend 10 years or more sending their kids to preschool even when it is not financially okay for them? Why not throw them in a day care so that women can work since day care can keep the children. Well some women are very smart because they know that there is a great difference between daycare and preschool. Going back to my question, the answer is because it is a perfect way to help a child think better in a long run . Preschool for most people starts at three years old. An average full day for preschoolers is $600 and geared towards working parents. An average half day runs between $200 and runs from M-Th between 11 ;30 am and 2;15pm depending on where you live. As a mother with children in half day you cannot schedule anything because you are always working with time. All four of our children went through half day for 10 years. It was part of the reason why we did not do that much . Now you know why I am speaking freedom. 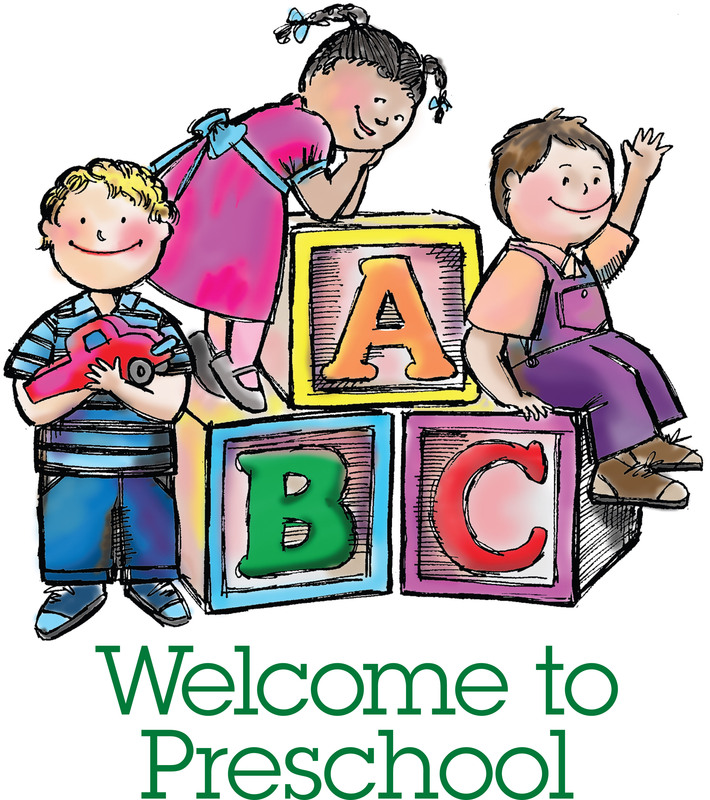 Preschool years are the most confusing times in people`s lives especially if they are doing half day. Secondly, why do a lot of mothers spend years after years doing half day/full day preschool? For most parents, preschool is the most expensive and the most time consuming times in any mother’s life. So if you are one of those mothers like me who has done the preschool run for ten years and finally your last child is in Kindergarten, you should be proud of yourself. Give yourself a thumbs up because it is not easy to do what you just did. You know the importance of school play. You also know about brain coordination that happens early in children. But overall you made it look easy. Although you might not be financially okay, you are smart. You have done your own investment by bringing up happy children. Finally It is a time to let preschoolers free and allow them to play and not fall asleep as most day care centers do. Some not so quality daycare centers promote sleep intrusion. But all preschools are run as a continuation to regular school which allows them to play at scheduled times. Why, because play increases their curiosities and explorations. What Will Now Happen :Today my 5 year old and one million other former preschoolers begin kindergarten. 1 it means that as parents of former preschoolers, we do not have to run up and down to pick up a child because half day has very short days. 21/2 hours everyday. No more running from one corner to the other. An average household will be saving about $ 600 and $200 respectively a month now. 2 It also means that parents can comfortably go out there with an extra five hours. They can look for a job which also depend on if the child in kindergarten is the last one . 3 As a parent it means that we can have any kind of appointment without looking at the ‘ time. 4 for me It also means that I can now have time to do more work outside home. Conduct some interviews. What else that I cannot do? It is often tempting to start life with money, money; that is why may people are ashamed to say they are poor, even when you know they are poor.But I totally believe in preschool. All our four children benefited from it. It is very helpful to both parents and teachers. There is nothing as sweet as a child coming to school well prepared. It makes life easy for the teachers and the parent volunteers. Poverty does not make anyone blind; rather, it makes people to see beyond poverty and do what is necessary not really comfortable for their children.. Sad news is that kindergarten is half days now in the country. Sad news is that there are mothers who will fall into all these counties that cannot afford full day kindergarten to at least have a break from all the years spent at preschool. The good news is that while other cities have cut down on their kindergarten because government cannot afford it, but my county can afford it due to a group of hardworking individuals. So I am happy that I will enjoy full day kindergarten. We praise all the volunteers who made it happen. Now think about your county. What are you doing to help your county? How are you helping your children get their early childhood education? We may not have answer right now but we need to answer them. These working people raise funds for the school while people like us, the stay home mums, make sure that we provide all the cleanings, readings and anything we can. The communities come together for a great course. Know that everything that has a beginning must have an end. The problem is that in preschool school run.1 First you have to have a car and gas money to run around.Secondly most preschools are situated; they are not actually in the area you expect it to be unlike your typical kindergarten that provides a bus for people in the neighborhoods. Typically preschools do not, and that is where the whole confusion lies. From my own understanding there is a great difference between the Public funded head starts and the privately run preschools? But If an average mum cannot get to the school whichever one. How is she going to help her child? We all understand that unexpected things do happen. We also know that we have a lot of clueless mums around. We also know that most children may fall into one or more of the unforeseen circumstances due to no fault of their own? But how is the best way of creating this awareness. Early child education saves children from falling behind. 1 Play occurs more during this time. Through playing, children acquire skills, ideas, and values that are necessary for their growth. 2 During preschool they form their words and vocabulary. Play leads to exploration and mastery of their worlds. 3 Also during preschool, they get a play pattern and form their own personalities too. Now you can come to this blog and tell me how I can be very effective in spreading this message. How can we spread the message of love and not hate? Speak your mind. Tell me what you think. Join us and tell your Senator to support ‪#‎Preschool4All: http://bit.ly/13scwrg. All kids deserve a chance to live up to their potential. 1 If one is struggling with anything they are not good at for a long time; the impacts can be huge. It might be a long list of things which includes, but not limited to technology. Some of the most successful people I have seen so far on internet are very good at networking, They are also good at coordinating webnairs too . To be an effective writer, one`s mind must be free from all stress . Unlike before when all you have to do is write, now things have changed. As a writer , you have to be able to network which keeps changing too.Then to depend on your own strength to do it, can create uneasiness especially if one continuously tries and fails. Remember you do not have to do it, but it is highly recommended. Persistence is the key of achieving this type of training that writing requires. 2 Listening to negative assumptions from people around you can take a toil on someones creativity. As a writer you need most precious and safe places to create words ;no distractions and no writer should ever go through that. 3 Working at fast pace, including lack of money . As a writer, the first rule of thumb is to know your strength. For one to function effectively, he or she cannot write, produce, print, copy, laminate, import, export, email , and do the marketing by him or herself. What is division of labor? When does it come in ? Mastering too many skills that not really related to creativity can kill the joy of writing. 1 I will be posting from my new blog on the date I have written down . Please I would like you to subscribe to my new blog at Noaefame.com Just like you did when you first came into this blog.When you sign up to subscribe, you will receive my blog each time I post new one . 2 you will automatically receive my Newsletter too . 1You can donate money to help my blog or use Pay pal to make your donations. I will concentrate on writing, and taking some classes to increase my knowledge on networking. Now for avid readers. If you want to know: Who,what, when,where,why Then this story is for you . One of the questions I have been often asked is ” how do you know when you are happy” I know when I am happy because I have a built in happiness in my heart. My happiness comes from learning,reading, empowerment and creating one’s own Identity. Growing up, one of the things that helped me to deal with the death I experienced in my childhood was poetry. “Poetry saved me. It creates joy for me .I am passionate about it; I can write poetry with profound messages on it, Regardless of what I try to do in life,writing comes so easy, very easy for me. Although, English is my second language, what delayed me from writing at the beginning was clogging( that means my words are jammed together) . But after I dealt with that problem, I know that the sky is my limit.I can do more. I love to write, but I hate it sometimes because people feel like I am teaching them. ( which makes me sad) This is not a good feeling sometimes. Now I am trying to be a poet, and a communicator; and not a teacher because I cannot teach. I need your help ? Recently too I have become very reactive to everything around me.Very reactive instead of focusing. I have watched people assume everything, but they had no clue. Maybe it is all in my head. But quite honestly, diversion is not good for creativity; it makes one feel sad and unable to function. If you do not bother to ask someone how they are doing why assume things you had no clue about. Since not everyone will know what you are doing. Secondly you cannot have the opportunity to explain yourself , so why bother. Always focus your mind on what you want to achieve . Usually great readers read for understanding, listen to the authors pain , what happened, when, where, why . In addition they retell what they read . There is no way the title of any anybody’s post will give one all the information they need to analyze and assume. It frustrates me that over and over we look at the title of someones post and make up the rest; the way we want it, any how it fits the interpretation. If your are a writer listening to this can kill someone`s creativity. 3 Pace. Not everyone can move at a faster pace. Do it at your own pace but do not sleep on it . I have four children and sometimes it is hard during summer to get everything done, but because of my great energy I have tried, especially I have become involved in my community to change my lifestyle and become active . Thank you Alexis Grants for all you do . Finally, this is my last plea. I would have loved to operate from this blog because it is easy for me ( yes I am not good at technology) my African brothers and sisters from Nigeria, my readers all over the world that statistics have shown me. My older adult friends that are college professors (Yes I am not bragging), my new friends that are not your typical internet users, and all the first time internet users, But unfortunately, I cannot set up my donation here at this blog, and I cannot do any advertisement here. I have struggled to hire editor, technicians and others, for that reason. I would like to build my other blog Noaefame.com. I have already set up the donation box over there for anyone willing to help me. I have my publishing company and I will also be adding their logo on my blog. And My market America shop that anyone can shop through us. I do not have to tell all of these to people but there is great need to get it out. As soon as I raise enough money, we might join forces here since my daughter can be publishing her own book very soon . Thanks for listening, Drop me a question, And the topics you want me to be talking about, mind you my posting on Noaefame.com will start on 7/ 19/2013. I would like to resume my work especially writing my poetry which I know I am good at. I also have children series that will also take place before school starts in August. Please sign up there so that you will not be left out. For those of you that I am still following, do not be worried because I still have my blog and I can get it on my email. I would like to hire a translator for other people who cannot read English very well. I will try my best to accommodate every one of you. I will hire a manager who will help me to expand my audience. I am grateful for all the bloggers here. I have enjoyed reading from you . Please you can make your donation at my pay pal account. Via NOAEFAME com I promise to write more and not worry about too much going on around me right now. There is a need for me to show this now so that I will not lose track that I have people who depend on me to deliver. That is why I do not get so much comments, But I understand every language and will not be disappointing all of you. Diane you are always loved by me. You gave me hope. Where do wp.me’s visitors come from? What sites link to wp.me? Dear readers,blogging is a very big responsibility that I have found out. What one says resonates with people if one is passionate about what she or he believes in.. I have tried to stay true to the things I believe in. I care deeply about children not only for their well beings, but how their minds develops. Even when I was referring to other countries, still my messages was always about the children and how we can help them achieve their greatest heights without cutting their lives short, and misleading them to think that life is a bed of roses which are not. I have never diverted my point. I am all for empowerment, creating one’s own identity, and dealing with reality. It is hard when your readers thought that you have diverted your attention to politics. I know a lot about politics but do not engage in it. But I involve myself in politics if it is going to help children and their education. I also involve in politics, if Islamic extremist are killing innocent children for no reason other than creating attention for themselves. I believe that nobody is spared the pain when it comes to children; they were often born into these strange circumstances. I use to think that a child has a power to change his or her own destiny in a second if they chose to . But I have my own children now, and I have realized that if they are not guided properly, nurtured, the right way. The society will continue to bear the burden. Based on that alone I cannot lose in this war. 1 The Blog 7/12/13 this blog will explain to you about all my frustrations in the past 2months. I will tell you how I wanted something so bad ( money in particular) , unfortunately .And how I dealt with the problems. 2 The blog on 7/ 15/13 will give you an Idea of what I have decided to do. My mini bucket list if you will like and how all of you can be part of it. 3 The last blog 7/ 18/13 : I will now announce my publisher. Why I made that decision, and what I planned to achieve. It will also give you an idea of my relationship with them especially one of the publishers “Veronique”, A true hero in all of these, and how I came up with the whole idea. Please understand that my job has not finished. I plan to make this book a success story. My poetry if it has all the right messages as I have planned , will go to schools and libraries for charity. A feminist promotes equal pay for equal rights (which I have become part of recently). They want women to have money for their own protection. They know what women can do with their potential when they are educated and rich too. In addition to that, the world knows that women can go to any length to achieve success. Women are more likely to share information patterning how to raise good children. Not to take anything away from the men. I am not a man and do not know how their minds work, but I know that good men take care of their families, and good women run their families. Yes, you are “a naïve feminist.” Back in the 60s when we had “real women, waiting to explode,” now everything has been diluted. You cannot speak up anymore or you are fired. But then, a real feminist may or may not even mention a man’s name, let alone give them credit. As much as I would love to be a real feminist, I may not have the same strength such as Virginia Wolf, Kate Chopin, Sylvia Plath or Naomi Wolf, not even after reading “How Imagines of Beauty are Used Against Women,” which I love by the way. Yet I do not think that I have the same guts or courage to parade myself as a feminist. I can also agree that the issue we had in the 60s that brought out a lot of feminist is no longer an issue anymore. Things are simple now, and life is better for women in any way you look at it, and a recent study shows that women develop quicker than men. Some men I know are also embracing their newfound job (stay-at-home dads). But regardless of whose side you are on, I may not be your typical or even have the conviction of a real feminist, but there are some things I care about deeply in life, and fortunately, it settles down on choices for women. While a real feminist will stand her ground and enact laws that will banish men, make them pay child support, even if they are homeless themselves, organize a task force that will make them disappear if they commit any ounce of crime against women. A naïve feminist like me will not make anyone disappear but can make a great argument on these kind of issues. For example, questions are limited but cannot be avoided. Are women better at raising kids? Are they better at organizing homes? Are they more likely to spend their money on the things our children care about? Are they more likely to share ideas and achieve results with other fellow women? Are they more likely to abandon themselves to take care of the kids first? Of course that is what good mothers do. They are most likely to love their children more than themselves. Are they more likely to be depressed if things go wrong with their children? The answer is, “Yes,” for every one of those questions. We have women groups here which plan everyday to find ideas, ways, and plans to help their children. Why because it is a natural thing for mothers to do. A feminist without politics does not make sense. I still remember our history and the 16th century feminists, their fight, their struggles. During the time, women were still fighting for recognition. Now the story has changed a bit. Men have sacrificed, too. Many men are even stay home dads (which was unheard of in the 16th century) with the same diaper bag that was initially meant for women only. So who is actually a feminist now? What are we fighting for? If you asked me, I won’t know either. How can you fight for women if you stay out of politics? In my eyes women are strong, kind and very intelligent. 1 When a woman has access to money, those women do a good job in putting their children in good programs such as dance, sports, tennis, and good schools, unlike the same women in similar cases that do not have access to their husband’s accounts and do not have their own money. They have limitations in helping their children. As a result of that, their children suffer setbacks and lack. The problem with children’s poverty starts at an early stage. 2 Because women are created differently, we ask more questions than men, unless you have a different type of husband than I do. Mine does not talk to anybody and finds it annoying when I am socializing too. Then how do you think he will all of a sudden become a chatter box in a dance arena? Therefore, certain things are better left for women than men. 3 Women are more likely to volunteer at their children’s school no matter how busy they are. 90% of the school volunteers are women. They are more likely to stay at home for the sake of their children. Most schools now, especially the middle, elementary, and preschools depend on mothers to volunteer. They help schools now to raise funds, organize teachers’ lunches, build school rooms, and are home parents. As a mother myself, I wholly believe in my mind that early nurturing helps our children a lot. I really do not care so much about what feminists still do, but my question still remains, “How can we mobilize other women to get down for a good result?” I care that women are the reasons for raising all the wonderful people of the world. I was raised by my dad and wished on a communication level a woman could have helped me more. Even though I love how I turned out, I will still leave it for women to do. I love men a lot because of my dad`s attitude and how he saw things. I will never look down on men. I will never disrupt their choices, but honestly, men are different; this is not about men. It is the fact that raising children demands our mothers. Think about how hard it is when you as a female want to compete as a man. Just because I still see good things about men too,yes I miss having a boy . I care about how to raise good men that will treat women right. Half of the population in my Facebook, Twitter, and for God’s sake is men. My favorite teacher is a man. I am married to a real man. I have good rapport with them. However, I would rather parade myself as a Naive feminist just to get things done. What type of feminist are you? Happiness creates inner joy. It is a way of living. Happiness varies for most people and it is contagious. Are you naturally a happy person? Is it necessary to be happy? Are there some things that you cannot run away from? It is always easy to say we are happy, but can happiness be met with sadness at the same time? I am a great believer in happiness but I also do not believe that your own happiness will be dependable on the people around you. What if they do not have one to give you? What do you do when you hopelessly look for something that was not there? For me I have often times made that mistake of somehow looking for extra love that can go either way. Sometimes the disappointment that goes with it is more hurtful. How can we be able to communicate how we want to be treated? How do you feel when somebody betrays you? Indirectly takes shots at you and expects you to be happy around them? These are all questions that may or may not have answers, but I have spent half of my life in classrooms full of students both young, old, and younger adults. Very understanding people that are still looking for what makes them super. At the end we are all looking for one thing. Treat me the way you want to be treated. Do not ignore the fact that everyone has special ways of recognizing danger. (If you don`t, I do). Gretchen Rubin speaks so much about happiness and her own mechanism of been happy. I always love to read her thoughts on some things I strongly have passion for. Yes it is possible to be happy because I know some people are naturally born that way. No one can take away their happiness. I practice this a lot. “The greatest of empires is the empire over oneself.” Maybe because I am an introvert and very introverted in nature, (A person who turns her thoughts inward) very introspected. Introspective is when you try to look deep into your thoughts or feelings- try to read yourself and understand who you are and reflect on your own actions, behavior. Reflecting on things gives me sense of security. Because you have people smiling at you does not mean they are happy with you. You can figure out where your strength lies. I do not need anybody to tell me what works for me. I hope you don`t either. All I need is peace and joy not asking for too much. According to Gretchen Rubin explaining her eight symbols of happiness, according to her and I quote, “I’ve labored to identify its fundamental principles. Because I get a tremendous kick out of the numbered lists that pop up throughout Buddhism (the Triple Refuge, the Noble Eightfold Path, the Four Noble Truths, the eight auspicious symbols), I decided to dub these fundamental principles as my Eight Splendid Truths. 1 Happy people smile at things that are really funny. They do not turn happy situations into a sad situation. 2 Happy people say positive things. Yes happy people stay positive and have a good outlook in life. 3 Happy people encourage you to be happy. 4 Happy people do not compromise their happiness for you because at the end it is their way of living. 5 Happy people do not indirectly take shots at people in an open gathering. 6 Happy people will not intentionally hurt anyone. 7 Happy people are the most polite people. 8 Happy people know and understand very well that if you are not happy, you cannot make another person happy. 9 Happy people create a warm, conducive atmosphere for everyone around them. They do not project a hostile environment and expect everyone to be OK.
10 Happy people try to make everyone around them better. They pass on ideas, knowledge and encourage them to keep trying. Next time you look around you, consider making people feel good. Do not act as if you do not know that they are capable of understanding your indirect talk. Be positive, speak love even when it is hard. What is your own idea of happiness? I want to hear. Let’s share some thoughts. My daughter was voted having the best manners in a second grade class full of eight year olds. What do you think I live for? I am proud to know that we are raising children that will share both of our beliefs in the world around them. With hope that all people in general and mothers in particular are trying their best. Nobody said that it is easy to raise children. Always share your passion and your beliefs. Thank you for reading. Please for those of you that are shy of writing remember the only way that I will matter to all of you and around the world is if you can communicate through emails or at least let me know you are here. I will continue to share my ideas. I have been giving so much, and I plan to share my love and happiness. Nothing but love.